Daily Affirmations – Are You Practicing These? Are you using daily affirmations? Daily affirmations are important. It’s really easy to intend something and even want to do something but let it slip on by without actually doing it. Make a list of things that you really want, material and non-material things alike. Now cross out the want and replace it with “I have,” or “I am”. You’ve just made yourself an entire list of daily affirmations. Remember: Your subconscious can’t tell the different between what you’re experiencing in reality and what you’re experiencing in your imagination. Write them down somewhere that you’re going to see them and each time you see them, recite them to yourself. Reading them is still saying them. Get your journal out and fill it up with affirmations. Get excited about it! Take those and get practicing your daily affirmations. It really doesn’t take much to practice reciting these daily. Your mind will start to believe and it will make a difference in your life. 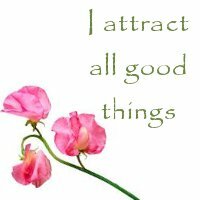 Let’s hear your favorite affirmation and tell us about your experience using them. Any ideas to help work them into a daily routine? Even if you think it sounds a bit silly there’s really no logical reason to believe that it’s nonsense. There is however, reason to believe that it works knowing what we know about our minds and subconscious. Do this. Do it for you and your life, you deserve it. Daily affirmations can help you shape your life into something absolutely wonderful.